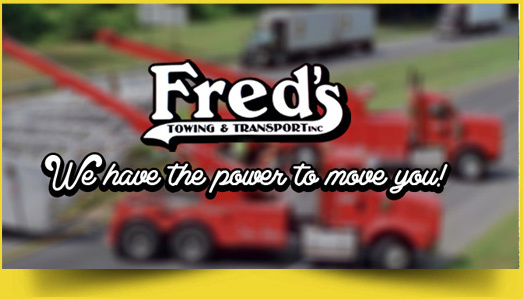 Welcome to Fred’s Towing & Transport Inc. 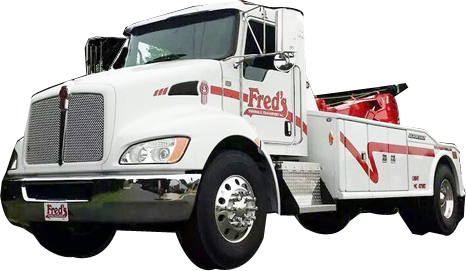 Since 1989 we have been providing the finest service to Henderson NC and surrounding cities as well as South Hill VA. We provide a variety of services 24 hours a day, 7 days a week, including light, medium,& heavy duty towing, road service, emergency recovery, 50 ton rotator, crane services, mobile truck repairs, trailer repairs, mobile computer diagnostics, mobile welding, national tire accounts and a Full Service Shop. We also have a Transportation Division for all your equipment hauling needs. Our motto is: It is not just a job, it is an adventure. We feel that no job is too big or too small for us to tackle. We have worked with Multiple Law Enforcement Agencies, Dealerships, Motor Clubs, and General Public. We pride ourselves on 100% customer satisfaction. We are committed to earning your business, but also keeping your business. We offer quick response times, professional courteous staff members, and reasonable pricing. So take a minute to browse through our site, learn more about us and what we can do for you… don’t forget the photo gallery!